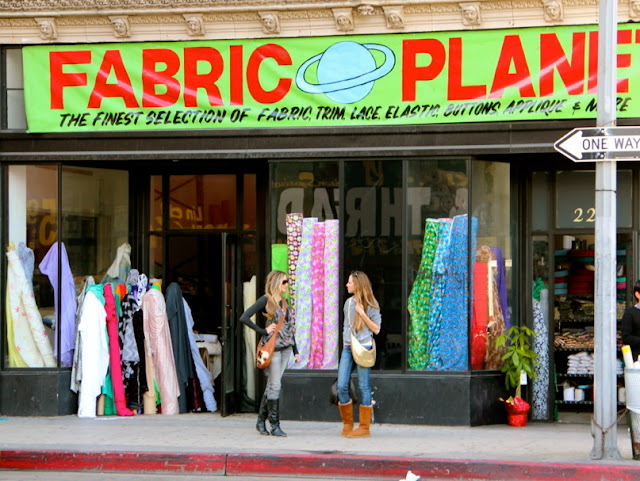 Fabric Planet was one of the coolest fabric stores I've ever been too (corner of 8th and Santee). The prices were crazy cheap and the owner Jack was fabulous. They had vintage laces embellished with beadings of all kinds for $1-$5 a piece about 1/4 of a yard. In New York it was $125 a yard. Trendy knits of all kinds for $2 or so a yard...a designers dream come true. This was the only stop I needed when it came to fabric. Rummaging through all the vintage lace embellishments! My sister and I walking the rows of fabric shops down the fabric district downtown LA (9th street). 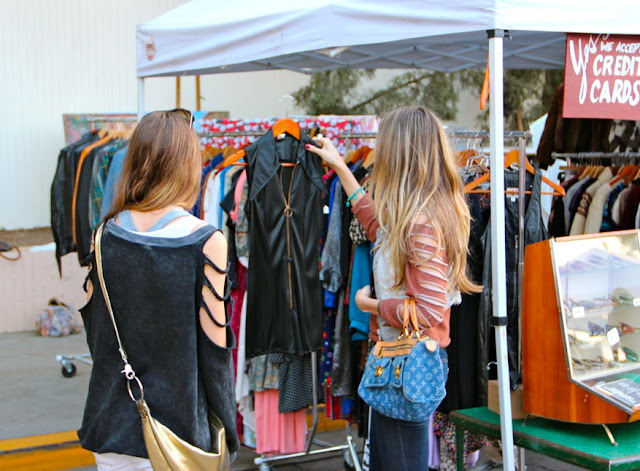 Next stop was The Melrose Trading Post. It is located in the parking lot of Fairfax High School, every Sunday from 9am to 5pm ($2 admission fee). 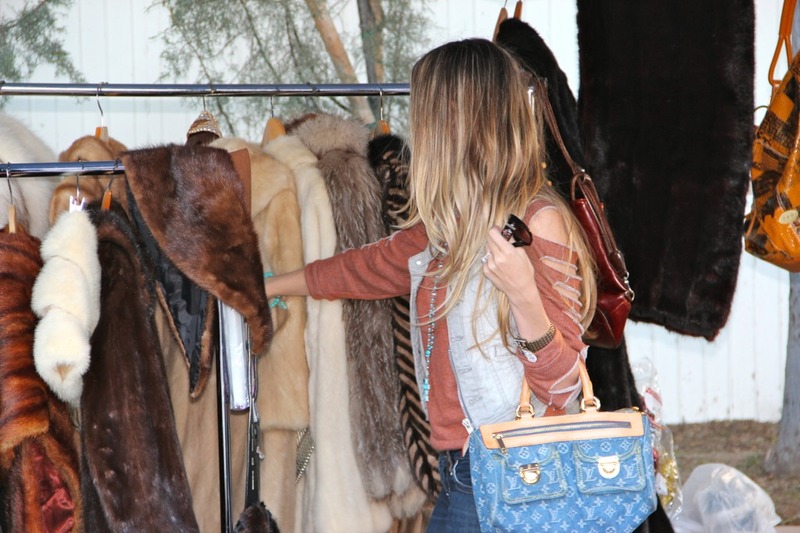 Great place to find thrifted one-of-a-kind items. Lovely rows of vintage dresses & I wanted every one. The treasure hunting never stops! Great shops like this one where the designer Sas (at Melrose Trading Post) made his own graphic tees and hoodies. All hand dyed and cut in unique shapes with great prices!!! Pricing, LA hands down! As far as more higher end fabrics, New York. Casual trendy knits were more LA. To sum up the differences in my mind, New York is timeless, LA is trendy. Thanks to my brother-in-law Corey for taking the great photos!!! so going to make a trip out there! That white lace dress is divine!! I hope got it! I had a great expedition to Fabric Planet and found just the fabric I had been looking for for about a year. Thanks for the tip and inspiration! i seriously need that lacy dress in the third to last picture. i would fancy the shirt up a bit and wear it to homecoming.